On a hot summer’s evening, nothing’s better to have for dinner than cold somen. Somen is basically a very thin udon noodle, although it can be eaten warm in broth, I only know to eat it served on ice, dipped into a sauce, (mentsuyu or tsuyu for short) garnished with green onions, ginger and my own personal additions. I'm not an expert when it comes to buying somen because I usually get it from Japan. 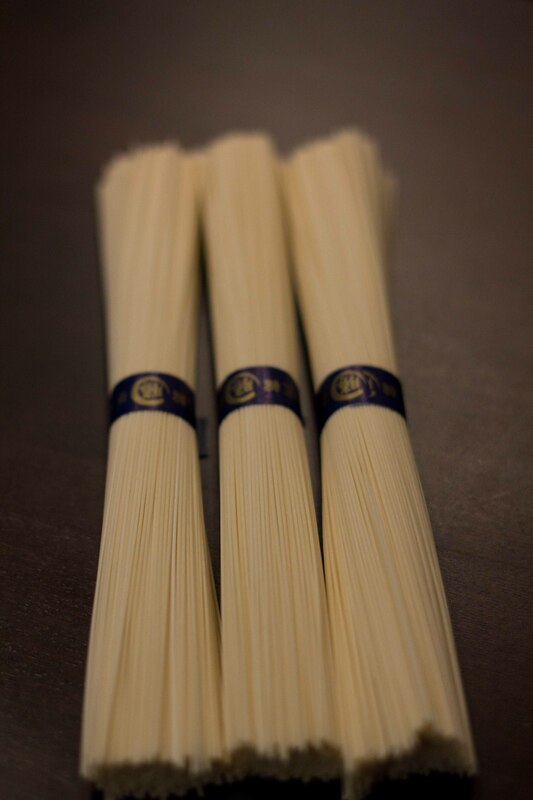 If you find a selection of somen, the thinner the noodle, the better. 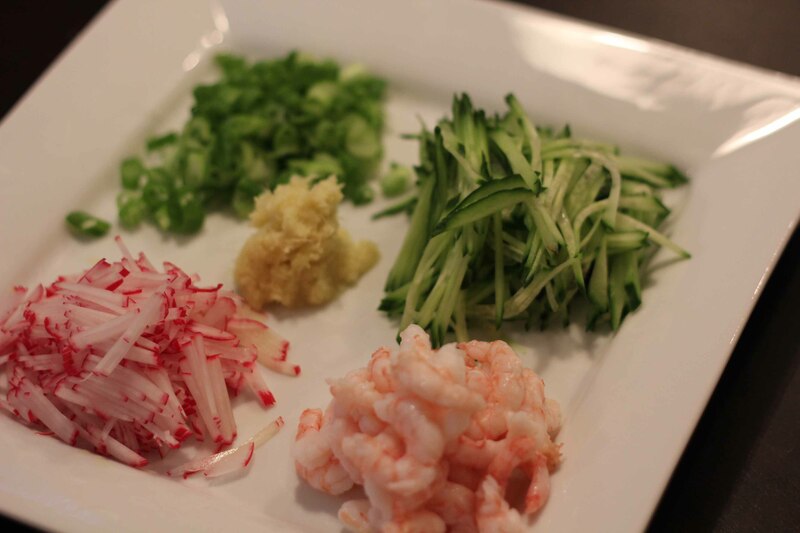 Green onion, ginger and wasabi are regular garnishes. You can also cook thin sheets of egg omlette, but I don't bother. I do add other things to make it a bit more substantial. 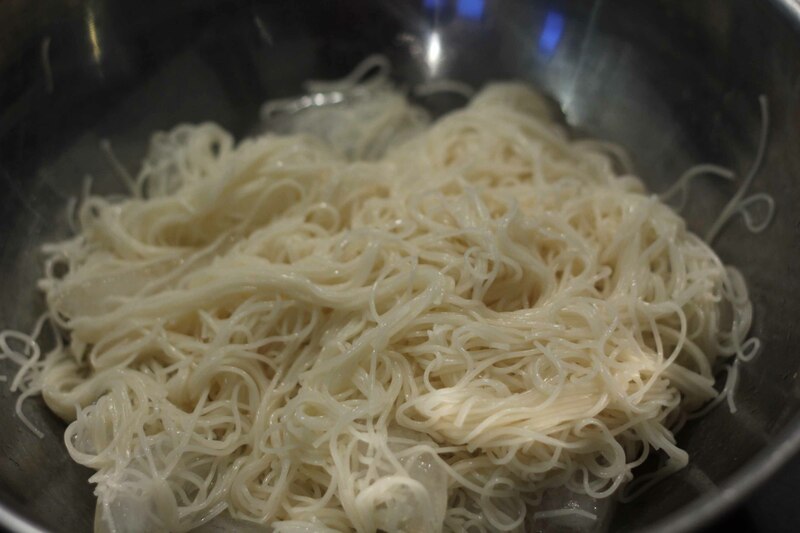 The somen is cooked in simmering water for a few minutes and then run under cold water. I serve it with ice cubes to keep the noodles cold and prevents them from sticking. Noodles are taken a biteful at a time and dipped into the tsuyu. You can go to the effort to make homemade tsuyu but I grew up in a house where my mom used time-saving methods. I buy my mentsuyu, (dipping sauce) and use 1 part Menmi (found in many Asian grocery stores next to the soy sauce) : 3-4 parts water. 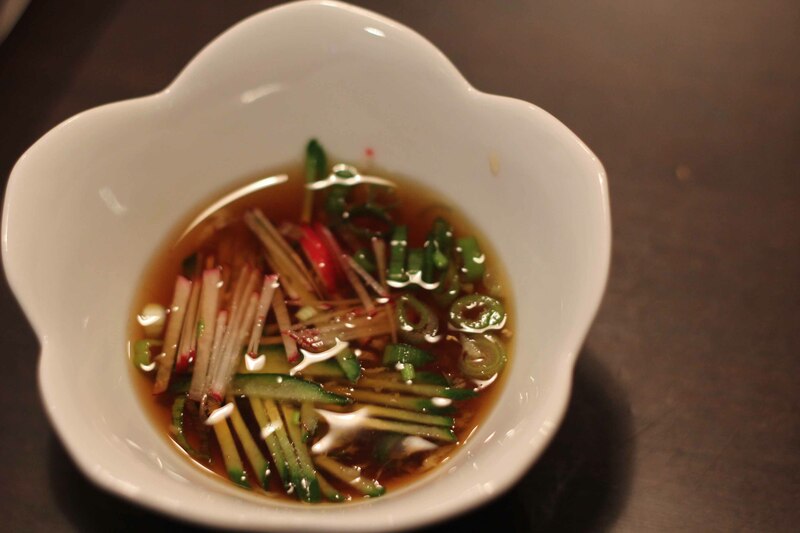 You can google mentsuyu if you want a recipe to make your own from scratch. Whenever I have somen, I start with some hiyayakko. 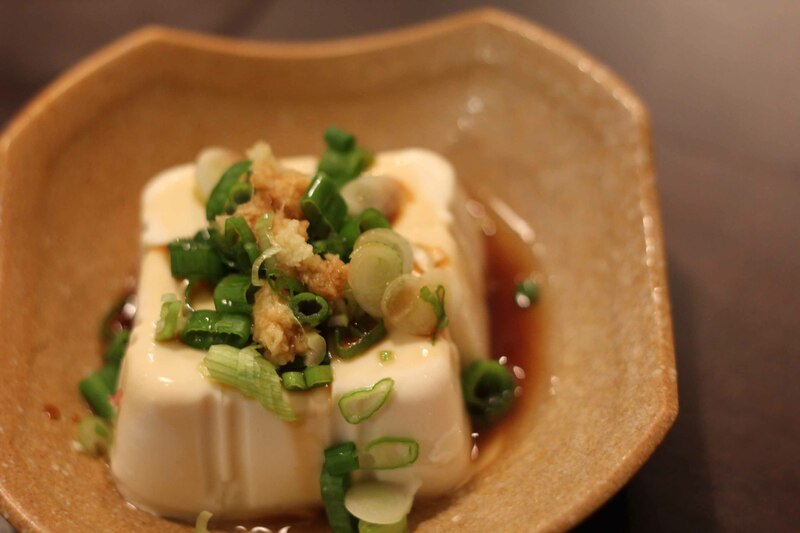 Hiyayakko is cold tofu topped with some of the same things used for the somen. It’s important to use very fresh tofu, rinsed in cold water. You can use firm, medium, soft or silken. I think traditionally medium is used, but I like the texture of soft. Cut tofu into cubes, top with green onions and ginger, drizzle with soy sauce. Great pics – i’m craving for my own somen now! I’ve never tried it with baby shrimp. Did you put it in the dipping sauce as well? I put the shrimp into the tsuyu and then try to pick up as much of the goodies with each bite.